Supporters of captured Army soldier Bowe Bergdahl will gather at noon Thursday, June 30, at Zaney's River Street Coffeehouse in Hailey to remember a native son who will have spent two years in captivity. The soldier's location and condition are unknown. Hailey Mayor Rick Davis will speak at the café where Bergdhal—a Hailey-area native—worked as a barista before joining the Army. 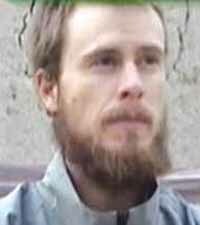 Bergdahl was captured in the Paktika Province of Afghanistan on June 30, 2009. The circumstance of his capture remains unclear. U.S. officials say he was captured when he wandered off base. Several videos of Bergdhal have surfaced on the Internet over the past two years, apparently made by Taliban militants. Bergdhal appeared to be healthy in the videos, at times pleading for the war to end. Bergdahl's captors have offered to free him in exchange for the release of Taliban captives, and have threatened to execute him if U.S. and other coalition forces did not cease bombing certain areas of Afghanistan. Former Rep. Walt Minnick, D-Idaho, unsuccessfully called for a prisoner exchange. Author and former Taliban captive Jere Van Dyk said, "I honestly do not think they will ever harm him." Motorcycle riders and veterans groups have rallied in support of the soldier. Military analysts have raised the possibility that Bergdahl has been moved to Pakistan. Residents of Hailey have spoken from their hearts about the war, and the prospects of his release. Following all this speculation, soul-searching and political posturing over Bowe Bergdahl, and the U.S. military's unsuccessful efforts to free him, Bob Bergdahl, Bowe's father, released an emotional video of his own last month. "Strangely to some, we must also thank those who have cared for our son for almost two years ... and others who have played a role in sheltering the American prisoner," Bob Bergdahl said. "We know our son is a prisoner and at the same time a guest in your home." The Idaho Mountain Express has made several requests to interview the Bergdahl family, most recently to find out if any response has come from their direct plea for their son's release. The family declined the offer and continues to communicate through Col. Tim Marsano, a Blaine County resident and member of the Idaho National Guard. "The big news is that Hailey and the Wood River Valley have not forgotten this captured soldier," Marsano said. "The support this community gives to the parents goes a long way. It does help them through this difficult time, these expressions of support." News of Bergdahl's capture brought a whirlwind of media activity to Hailey in July 2009. Since then, yellow ribbons and photographs of Bergdahl have been placed—and replaced—around the valley as a sign of continued support. Many people have said they are still praying for his safe return. Signs and bumper stickers with the words "Standing with Bowe" are also common. Indeed, residents of the region are still "standing with Bowe."